With Avjobs Resume Hosting and Job Search Accounts, you can quickly and easily email your resume and cover letter directly to hiring managers. Whether you are applying to a job you find in the system or simply want to send your resume to another company or person, Avjobs makes it easy. When emailed directly from your Avjobs account, employers receive a safe, virus free copy of your resume. If you are applying to a specific Avjobs posting, you can also send a cover letter specific reference to the job posting. Email messages include a full copy of your resume and your contact details. This whitelisted email application method makes it easy for hiring managers to quickly view your resume, drill into your hosted job application and master profile, and presents you in a professional light. When you email directly from your Avjobs applicant account, the employer receives notification of your interest in their open position. Messages include your cover letter and all of your contact information within the body of the email. Many companies have policies against opening any unfamiliar attachments in effort to prevent viruses. Avjobs email format is virus-free because we don't use attachments to get your resume in front of employers. When you email your resume & cover letter directly from the Avjobs applicant system, they arrive safely and look as good as they do on-screen. You'll never have to guess if your resume reached its destination; you'll get a confirmation when its sent, and you can even enter follow up notes for future use. Our resume activity tracking will even give you a failed notice if for any reason the submission should get bounced back to our server and/or your email account. Emailing a resume & cover letter from your standard email program or browser can be problematic, sometimes resulting in an unreadable or unprofessional submission - even though it looked fine on your end. Copying and pasting formatted text into your email program or your browser can create glitches and strange characters that are visible only to the recipient. Attachments in the wrong format may turn out to be difficult or impossible for the employer to open. If there is a problem, the company won't tell you, they'll just delete it and go on to the next resume. 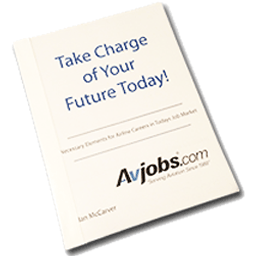 Avjobs makes it easy to get your resume in front of aviation employers exclusively.